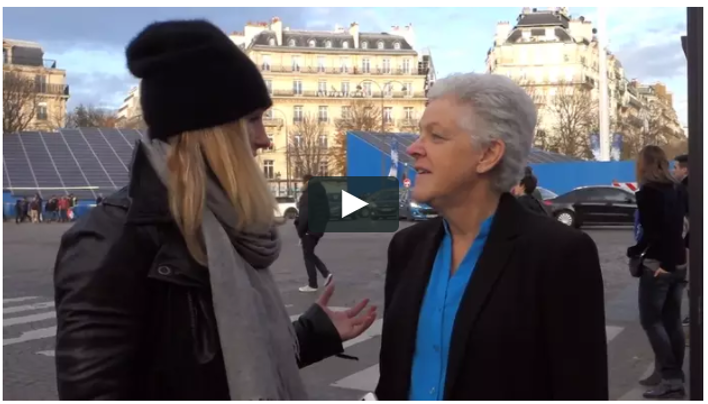 I was asked by Snowboard Mag to write a piece about my trip to Paris for COP21. I wrote it just as I arrived in Paris. It’s HERE. Upon leaving Paris, I realized it was more beneficial to put my thoughts down on paper AFTER my experiences; namely because I learned SO much. Even after writing the following, an agreement was reached by the 187 participating countries to commit to reduce emissions in 2020. This is a great start, and you can read more details HERE on that treaty, but the action will be the proof and the solution we will all need. What happens over the next ten years will determine if humanity can realistically continue to survive on planet Earth. If global temperatures rise an average of more than 2 degrees C, we don’t really have a chance. At our current rate, we are going to blow past that marker… soon. We know now that the only way to avoid this fate is by having every country in the world commit to reducing their carbon emissions by 4% every single year. The reason the next 10 years are so critical is because this is the very short window we have to come together, collaborate, and act as one global community to help one another to commit to this process. That is the most important piece of information that I learned in Paris while I attended The COP21. The good news; it’s totally possible. The reality however, is that the reason we’re facing the most critical moment of our existence is because of our own human behavior. Me, you, all of us. The Seine River is so beautiful! And rolling around with Brody Leven in the uber green Flying Fortress from place to place was pretty entertaining! We as a species can to choose to live from an ego based, fight or flight mentality believing that our environment is threatening and we must fight, compete, or cut one another down for our own survival; or we can choose to live from a place of acknowledgement that we are all connected to each other and this earth. The latter means we can’t be healthy as individuals unless we’re healthy as a collective group. The realization I’m coming away with after COP21 is that in order to act from this “collective mindset”, we must be willing to be “anonymous donors” in the world. What I mean by an “anonymous donor” approach is being willing to let go of our own self-identity in our daily actions and release the need for recognition, compensation or reward. We make the choice simply because we know it’s what’s good for the collective regardless of what we get out of it. That’s not easy right? It means letting go of expectations, results, or ideas of how things should be. It’s actually this selflessness that will be key to our survival. When I was in Paris, I witnessed a lot of innovative and inspiring ideas, technologies, businesses, NGO’s and people in general that are all offering a wide array of options for tackling our carbon emission’s challenge. But I also came across some who were fighting to highlight that their solution was the best and sometimes even going as far to say it was “the only way” that will allow us to solve this massive problem. In the process, they were cutting down the efforts of others. So even among those who are dedicating their life’s work to healing the planet, we are seeing this root behavior problem. Speaking with Diana Dehm of Sustainability News and Entertainment and checking out the Eiffel Tower at Sunset. understanding your solution is not the only answer. order to see the change every single person must be a part of the solution. On the panel for Green Sports Alliance getting to the hard stuff and then saying good bye to Paris under the stars at the Louvre. I heard from a great friend that we always expect someone else to be the leader in the room. I realize now I never expected myself to be the leader, but working with Protect Our Winters has helped me consistently challenged that idea and recognize that I am a leader; and so are you. Find your lever for change, your “piece” of the climate solution, and pull on it with everything you have. The pressure is not on you to be the sole person to save the world. You’re a part of the team. Put your jersey on and get in the game.